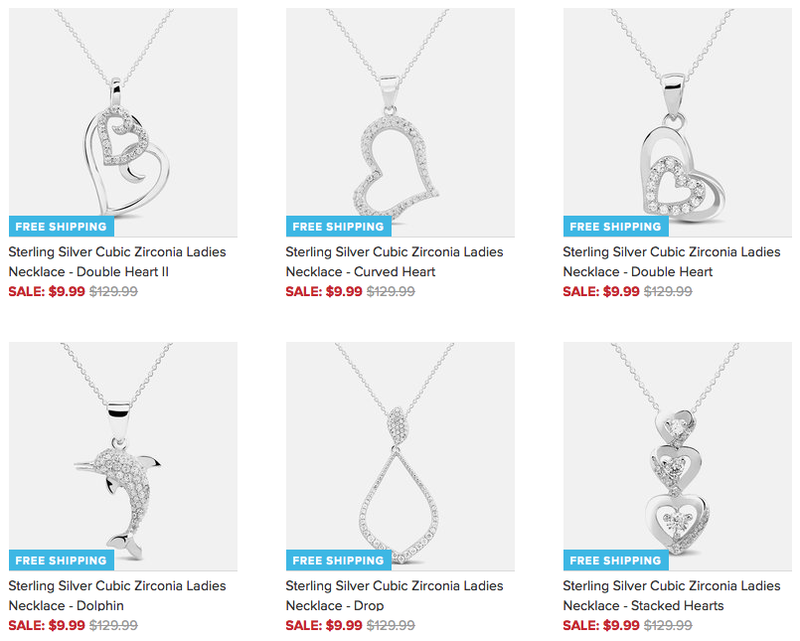 Sterling Silver Necklaces Hearts, Dolphins & More $9.99 + FREE Shipping (Reg. $130)! You are here: Home / Great Deals / Sterling Silver Necklaces Hearts, Dolphins & More $9.99 + FREE Shipping (Reg. $130)! Sterling Silver Necklace Hearts, Dolphins & More $9.99 + FREE Shipping (Reg. $130)! If you need a budget-friendly, yet special gift for the holidays, then this is one sale you won’t want to miss! Grab one of these GORGEOUS Sterling Silver Necklaces in Hearts, Dolphins & More for just $9.99 + FREE Shipping (Reg. $130)! I just ordered the Drop Necklace for my mom – I know she’ll LOVE it! !